This is Garrett & Sallie. They’re special. I actually had a picture of them both with funny faces but I didn’t have the flash on so it’s not great…at least Sallie looks pretty :). These two are perfect for each other. Ahem, Allan & I take credit for setting them up, I might add! They stood in line for hours to win free wings for a year from Buffalo Wild Wings and we got to eat the fruits of their labor a few weeks ago. Man, I don’t even like wings and I wanted more! 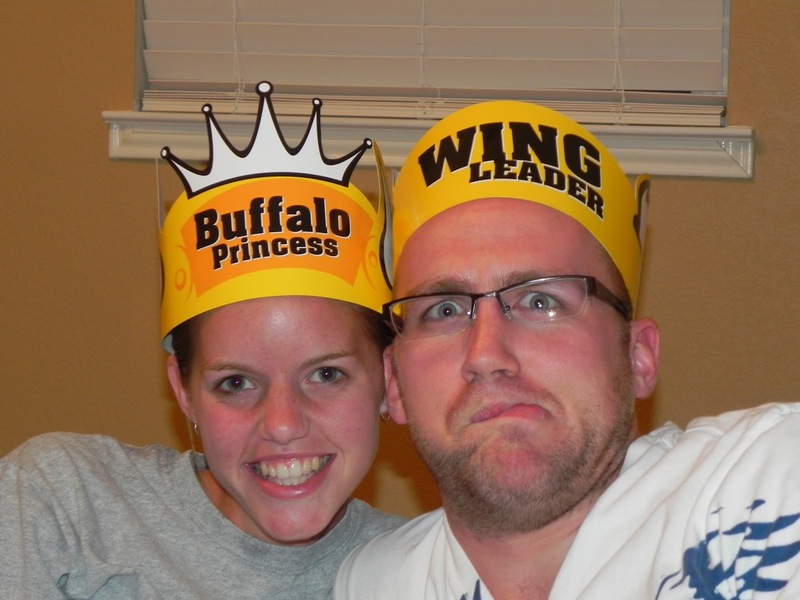 They’re getting married December 28th (having wings at their reception, love it) and we couldn’t be happier for them. Now if only Garrett wasn’t stealing Sallie away to Lubbock! We are so lucky to be blessed with such great friends: Mindy, Levi, and their boy Aiden, Ephraim (AKA George), Sallie & Garrett (above), our siblings (it’s the best when you’re friends AND related, eh!? ), Bill, Blair, Jackie, the list goes on…I love you all! I didn’t write down all of our friends (thought that would get boring) so if you’re not on the list…we love you!! >I AM SO TICKLED THAT I MADE THE GRATITUDE CHALLENGE LIST! I love this picture! And I didn't realize that Garrett really was stealing me away to Lubbock…that is too far from you! I must come spend more time with you! Wings party soon…let me get through some school first. Love you! >Hah! I know you're busy. Will you be at S&G's wedding so I can finally meet you?! I hear you're going on a mission soon.